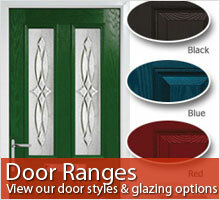 Our range of doors present homeowners with one of the widest selections of styles available. There's an array of cheerful and homely colours that can be applied across the entire range of doors. Any other RAL colour is also available. Each door has an authentic looking woodgrain finish that is durable to withstand knocks and scratches and will never need painting or staining.